The world is a bleak place. The climate change leading to almost constant snow cover has torn society apart; a struggle for survival against those that would do anything for supplies. And yet, with this backdrop, Richard and Alice tells a personal and intimate story in this dystopian world. Richard is in prison. To his surprise there is a new prisoner, Alice, in the recently re-built cell opposite him. It is immediately apparent that not all is right in this world. 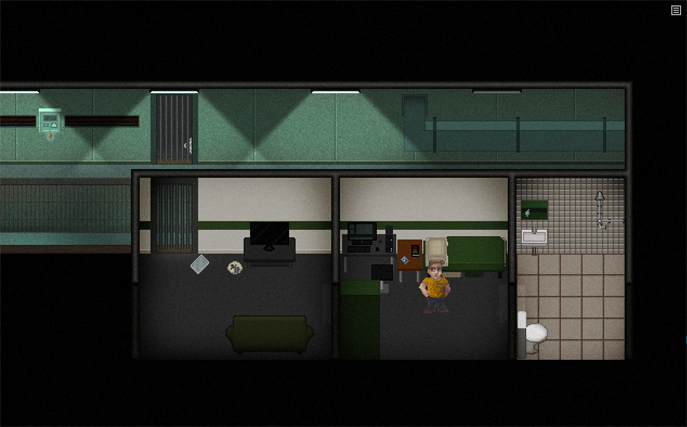 Richard has not seen outside his cell in a long time and enthusiastically questions Alice about the state of affairs. An intriguing atmosphere is established from the start. The characters know more about the world than you do. You need to pay attention and put pieces together for yourself to learn about the circumstance surrounding the situation. 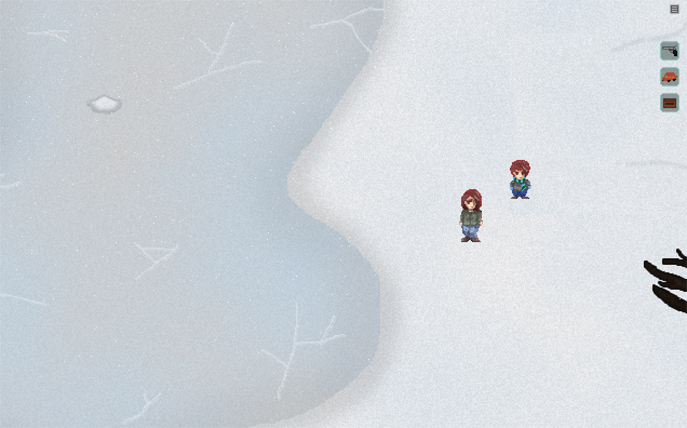 Richard and Alice is an point and click adventure game. Gameplay is split between two sections; Richard in his cell and Alice's memories, as she recalls to Richard the events that led to her imprisonment. Alice and her five year old son Barney's story begins with the pair locked in a basement. 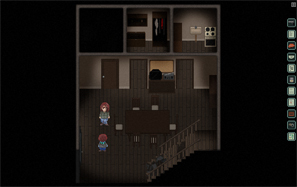 With Alice attacked and led with Barney to this single room by an 'evil man' there doesn't seem to be much hope. Your first aim is to make an escape. Richard's story begins with dealing with his incarcerated state and getting to know Alice, your first objective is sliding a photo of his family over to the opposing cell. The highlight of the game is the narrative. The writing is mature and of a very high standard throughout. There are well thought out and subtle techniques which aid you to emotionally invest in each character's plight. Despite the serious nature of the narrative, Richard and Alice is a funny game in places, sometimes make me chuckle out loud. As humans do in serious situations, the characters make random jokes or comments (especially Alice). It reminded me of the humour in Six Feet Under; light relief surrounded by a sombre topic. The game wouldn't have been so endearing had it been continuous drama. Pauses are used to great effect too. During the text based conversations there are gaps in dialogue (the cursor becomes a helpful clock during these times to show the pause was in effect) which highlight the emotions and thought process of the character. There is no voice work in the game but that isn't a problem. The dialogue is written so well and the characters are established so effectively I could hear them in my head as I was reading. I thought Barney to be the best written character. I've often seen children in games prove a frustration and annoyance to gameplay and script but Barney is written as an intelligent child – one that knows the severity and harshness of his environment yet still holds on to the tendencies and innocence of a five year old. He still gets some words muddled and Alice does her best to be a good mother, correcting him - “It'll remember you about that time”.. “Remind, honey”. Just these small exchanges tell you a lot about Alice; her priorities, her efforts and hopes. Most of the areas throughout the game are fairly small and the solutions to the puzzles are almost all logical. I found it was a case of finding everything you could pick up in that area and the solution would subsequently become apparent. It is made clear what your objective is at the beginning of each chapter and once you have collected everything you can, the solution frequently made sense. There were a couple areas that I got stuck in. One of these was particularly frustrating. It was near the end of the game and I had three issues with it: I wasn't aware that I could leave the initial area (in an early chapter you were told it wasn't accessible and there was no alert to state that had changed). In this single chapter there were items you couldn't pick up at first and without notice later on you could and the overall solution was farfetched, rife with unlikely coincidence that the game had avoided to this point. Of course, the first two could be down to my own incompetence and other players may not have had any issue. But playing this chapter across two sessions in three days led me to forget some of the items that may have said that they weren't useful right now. The visuals are simplistic and effective but do not stand out. 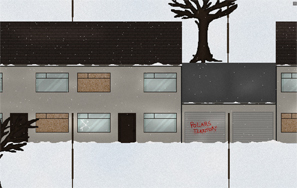 The snowy landscape makes for an interesting background and as areas opened up a bit you could sympathise with the character's sentiments on the state of the climate. There is a good range of small, claustrophobic areas and larger expanses. The music was used to great effect; clear tonal shifts introduce scenes instantly giving me a sense of dread, hope or suspicion to what was about to play out. Despite some frustrations I had with some puzzles, now that I've cleared them and heard the full story I look back on it warmly, tempted to replay. Since I know the solutions now I can go through the narrative in one sitting without any pacing irregularities between gameplay and story. I think one of Richard and Alice's strong points is that it treats the player with intelligence. It avoids telling you what to do most of the time (it knows you've probably played a game before and can figure out things for yourself) and only alters when needed so not to mislead the player. This keeps you immersed in the mature, well written and affecting narrative which I highly recommend you experience for yourself.